Pro Silva Ireland’s next Forest Open day is in Coole Park, Gort, Co. Galway on Saturday 23rd May 2015 with guest forester Huw Denman and ecologist Faith Wilson. The focus of the day will be on how Continuous Cover Forestry can deliver benefits for nature conservation, biodiversity and landscape. Pine Marten. Photo courtesy of Maurice Flynn. Coole Park is part of the Coole-Garryland Complex, which is designated as a nature reserve, a Special Area of Conservation, a Special Protection Area (for birds), an Important Bird Area, a wildfowl sanctuary and as a Wetland of International Importance under the Ramsar Convention. Using CCF as a method to transform conifer stands to native woodlands over time. Ecological requirements for protected species such as pine marten, lesser horseshoe bat, otter, etc. How woodlands and forestry can help meet the requirements of the Water Framework Directive and the EU Habitats Directive in terms of water dependent species and habitats. Challenges in dealing with invasive species in native woodlands. Balancing the need for public recreation, species conservation and stand management in spaces open to the public. The value of woodlands associated with historic demesnes and places of cultural value. Our Guest speaker: Huw Denman Huw is a forest manager based in West Wales. He has direct experience in the management of woodlands for protected species such as pine marten, the transformation of upland plantations and has studied the application of CCF principles abroad. Huw taught for many years on the Native Woodland Training Scheme course run by the Forest Service, National Parks and Wildlife Service and Woodlands of Ireland. He has a background in harvesting and marketing and in forest certification. ALL ARE WELCOME. Foresters, ecologists, naturalists, farmers, small and large woodland owners, forestry students especially welcome. The field day is being kindly facilitated by the National Parks and Wildlife Service and we will also be joined by Huw Denman from Wales and by Faith Wilson (Woodland ecologist), ProSilva Ireland committee member. Day begins: 11 am – 4.30 pm. Coole Park is located just off the N18, 3km north-west of the heritage town of Gort in Co. Galway. Please bring a packed lunch, suitable walking shoes and rain gear. There is a suggested donation of €20 per person to cover the costs associated with running the day. Coole Park was once the home of Lady Augusta Gregory, dramatist, folklorist and co-founder of the Abbey Theatre with Edward Martyn of Tullira Castle and Nobel prize-winning poet William Butler Yeats. Coole Park, in the early 20th century, was the centre of the Irish Literary Revival. Yeats, George Bernard Shaw, John Millington Synge and Sean O’ Casey all came to experience its magic. They and many others carved their initials on the Autograph Tree, an old beech still standing today. A remarkable feature of the turloughs at Coole-Garryland is that they are closely associated with areas of woodland. Although substantial parts of the original deciduous forest have been converted to coniferous woodland composed of non-native species, stands of semi-natural deciduous woodland survive. Pedunculate Oak (Quercus robur) and Ash (Fraxinus excelsior) are the dominant species on deeper, more fertile soils, where there is also some Hazel (Corylus avellana), occasional Yew (Taxus baccata) and Elm (Ulmus spp.). There are also some unusual areas of dwarf Pedunculate Oak woodland growing on limestone pavement. This species of oak does not typically colonise this type of substrate. Some of the deciduous woodlands have a mixture of native and non-native species. These mixed woodlands have a diverse shrub layer comprised of Spindle (Euonymus europaeus), Privet (Ligustrum vulgare), Burnet Rose (Rosa pimpinellifolia), Guelder Rose (Viburnum opulus), Blackthorn (Prunus spinosa), Pear (Pyrus pyraster) and Honeysuckle (Lonicera periclymenum). The ground flora is rich and includes Wood Anemone (Anemone nemorosa), Dog Violet (Viola riviniana), Shining Crane’s-bill (Geranium lucidum), Maidenhair Spleenwort (Asplenium trichomanes), Northern Bedstraw (Galium boreale), Biting Stonecrop (Sedum acre), Harebell (Campanula rotundifolia) and Bitter Vetch (Lathyrus montanus). The woodlands are notable for the presence of rare species of Myxomycete fungi, namely, Licea idris, Licea marginata and Macbrideola decapillata, the first-named in one of only three known sites for the species. 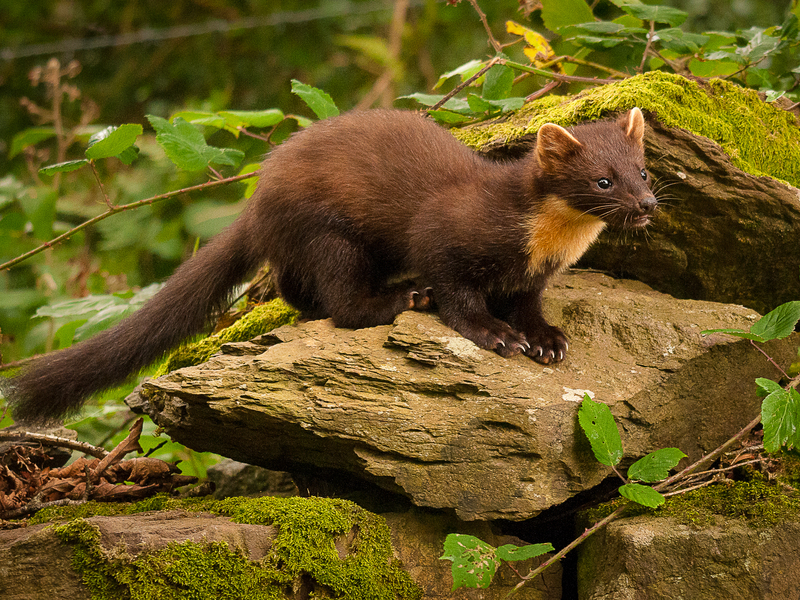 The complex of habitats at Coole-Garryland provides habitat for a variety of mammal species, including Otter and Pine Marten. The Coole-Garryland complex is also home to one of the most important and unique assemblages of insects in the country, including several notable species of beetles and flies. Because of Yeats, the woods at Coole are known by name to people all over the world. 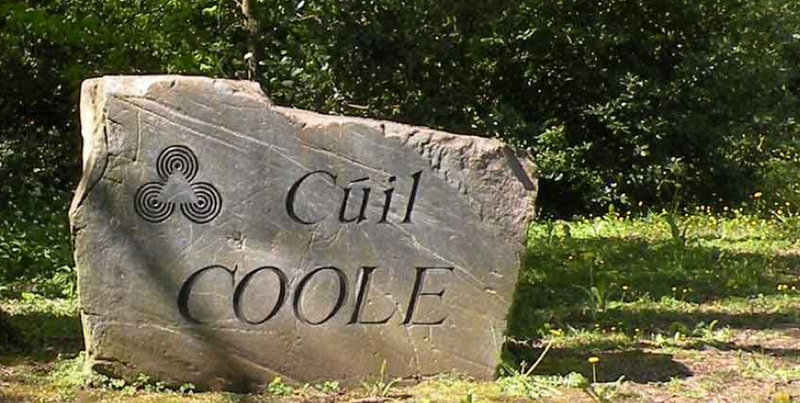 Yeats refers several times to the ‘Seven Woods of Coole’. The woods were greatly loved and cared for by the Gregorys, and every grove and plantation had its carefully chosen name. Most were named for some local topographical feature, but some were called after people, e.g. the Isabella Wood. The woods at Coole are not wildwood, areas of natural woodland that show little human interference. They are managed woods, parts of which have their origins in the natural woodland cover which can still be found in odd corners, especially on the far side of the lake. Their natural character has been overlain by forestry practice that extends back for upwards of 200 years. The turlough system at Coole-Garryland is considered to be the most diverse in the country, for both its physiography and vegetation. It is unique in that it is so closely associated with woodland. The juxtaposition of these two distinct habitats, in addition to the presence of a variety of turloughs, has led to the development of uncommon communities, and rare species of insects and plants occur which are associated with both the turloughs and the turlough/woodland transition. Overall, the range of good quality habitats at Coole-Garryland supports a high diversity of plant and animal species, rendering this site of prime importance for conservation.